The needs for the millions of Texans rendered so needy by Hurricane Harvey are just mind-boggling. An easy way to help after Hurricane Harvey? Ship some mosquito spray (with DEET) to our former church in Victoria. They will be distributing it to people in need along the Texas coast. [We] are just going to order ours through Amazon Prime and have it sent directly there. Cash in those Amazon points and do a little good! Keep Zika at bay and help people rebuild their lives with one less difficulty. Texas mosquitoes are no joke and the combination of warm weather and standing water are causing a mosquito explosion. Meanwhile, the spirit of Texas grit and American goodness continue to emerge every day. If you click on this link you’ll see TV news footage of people in Lake Jackson, TX, sandbagging against the water with volunteers from all over. The video leads with a Texan I happen to know named Ed DiGuardi. 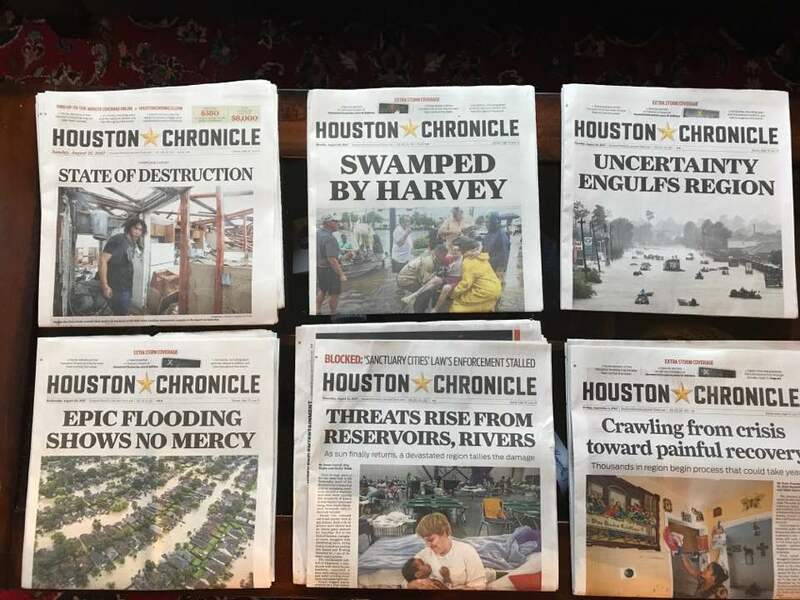 Prayers for Joyce (mother of two of my children) and Ed, and all the victims, volunteers and professionals from around the country who are showing what the spirit of “Texas Tough-Texas Proud” looks like. A week that will go down in infamy in Texas and the nation.